figure of Yamatonokami Yasusada based on his standard standing pose from the game. bringing the charm of Yamatonokami Yasusada to fans to enjoy by their side! 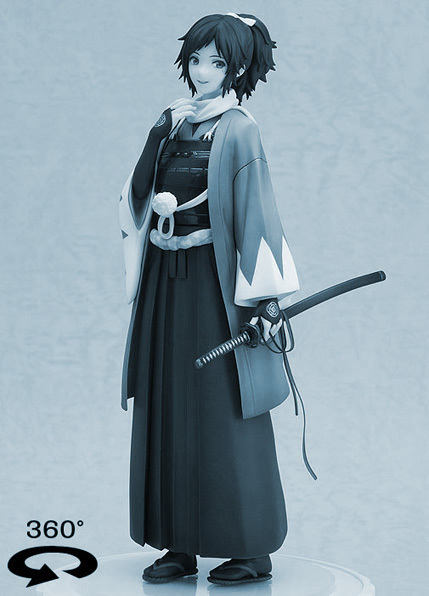 The appearance of Yamatonokami's black hair with the contrasting white hair tie has been carefully sculpted, keeping even the most intricate details on the figure. 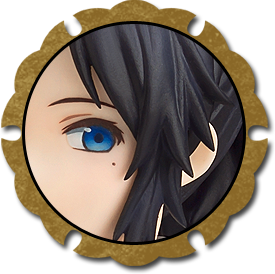 His clear blue eyes, refreshing smile with gentle lips and the beauty spot beneath his eye have all been faithfully included to bring his illustration to life without leaving out any details. Yamatonokami's delicate hands covered up mostly by his long black arm covers have a certain elegance to them while still preserving his masculine side through the sculpt as well. 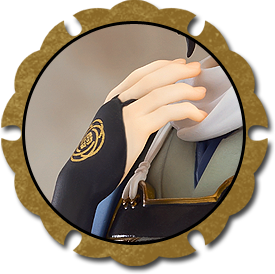 The posing of his fingers as they gently adjust his scarf have been carefully sculpted, and the golden symbol on the back of his hand is quick to catch the eye. 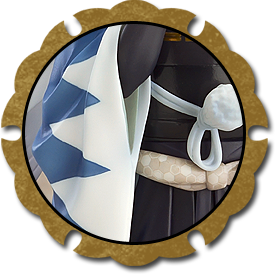 Yamatonokami's white and blue haori coat with triangular 'mountain' shapes give him a very refreshing appearance which contrasts with his black chest armor, which is painted to appear lacquered. The sculpting and paintwork clearly distinguishes the various textures of his outfit for fans to enjoy. Yamatonokami himself is beautifully detailed, but also note the sword in his left hand. The scabbard has a glossy paint to recreate its lacquered appearance, and the guard, grip and straps have all been faithfully sculpted and painted to match the original game designs. Enjoy the figure from any angle with the 360° viewer below! 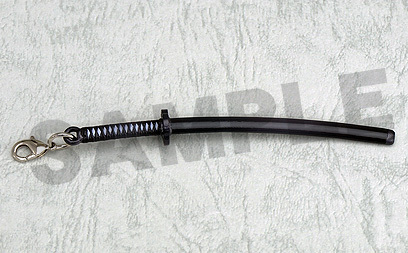 Yamatonokami Yasusada Sword Charm as a bonus! 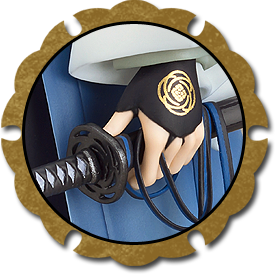 a Yamatonokami Yasusada Sword Charm as a bonus! Don't miss out!